What’s your biggest goal right now? Setting a goal is the first step toward turning a dream into a reality and taking control of your life’s direction. If you need a little push, check out our tips on how to set goals and act on them. Changing your health doesn’t happen overnight; it takes hard work and discipline. If you’re ready to commit to a healthier lifestyle, here are a few steps you can take to start improving your nutrition, fitness, and mindset. Are you a servant leader? If you’re motivated to change your life and grow as a person, it’s important to learn how to put others first. Click to learn how servant leadership can help you live a more fulfilling life. Want to learn how to make your metabolism work for you? In this blog, we discuss how consuming the proper nutrition promotes a healthy metabolism, with tips you can apply to your daily life. Read on to learn about the link between nutrition and metabolism. 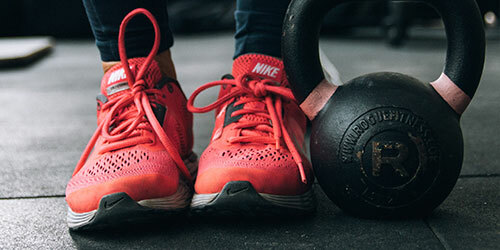 If you’re new to the fitness world, paying for a personal trainer can seem like a huge investment – why spend money on a trainer when you can workout by yourself? The truth is, hiring a personal trainer is perhaps the best investment you’ll ever make in your life. Read on to learn why. Getting in the right nutrients pre and post workout is important for both fueling your workouts and recovering properly! It’s fall… well almost! At least in Starbucks mind it is! Sometimes, the gym can be intimidating! Short on time but still wanna get a good workout in?! Here are FOUR ways to make sure you’re getting the most bang for your buck when it comes to working out! Stretching is an extremely important part of recovery and even warming up for your workouts.. but not all stretching is the same! Let’s dive in to the three most common categories of stretching and when they should be used.